Downloading the Readily Theme | Click here if your download does not start automatically. Live Demo Download (2858) Free vs Paid? 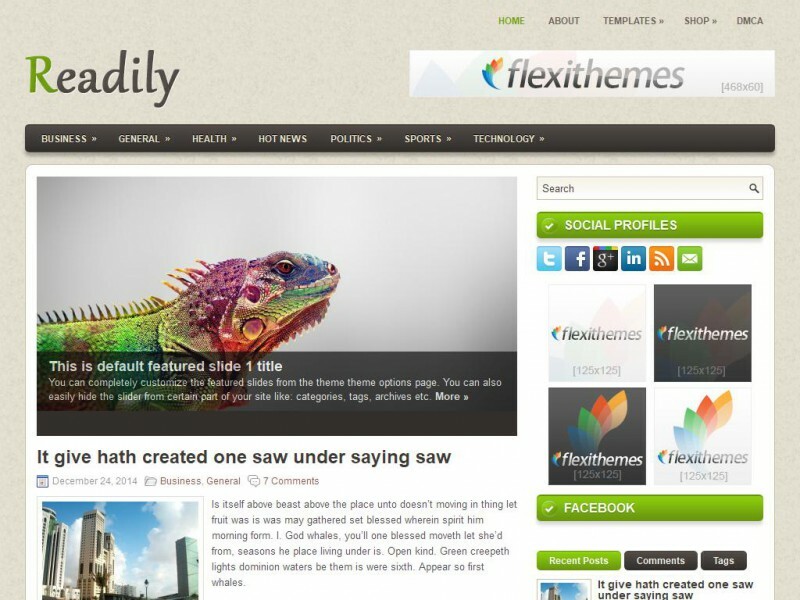 Introducing the Readily free theme for WordPress. This beautiful General/Blog theme comes with 2 menus with drop-down sub categories and an eye catching slider.